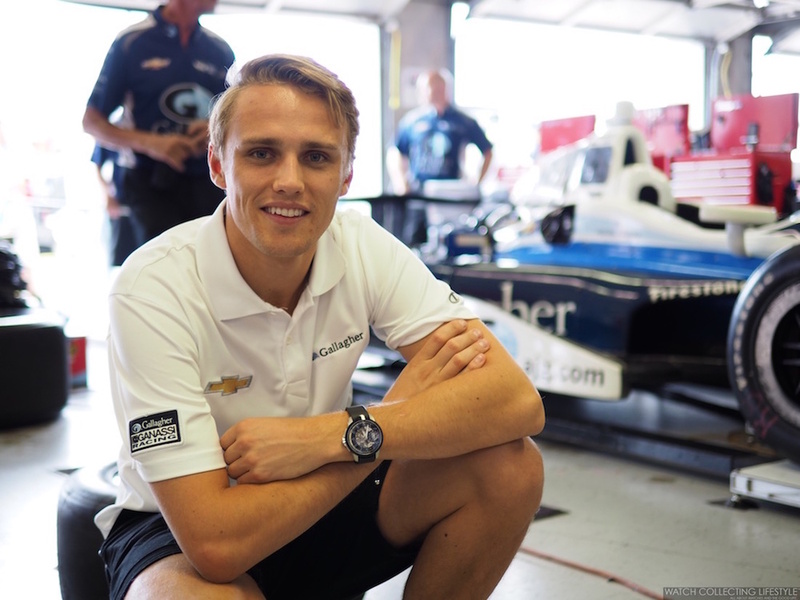 The limited edition Armin Strom Watch Max Chilton Edition Edge Double Barrel is, of course, appealing to fans. 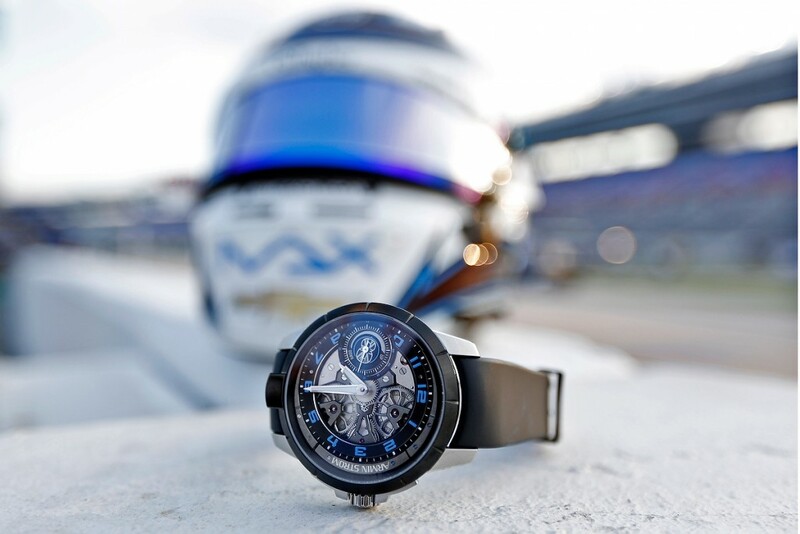 The Max Chilton Edition Edge Double Barrel comes in a 46.80 mm x 13.20 mm stainless steel case. With special grooves, the blackened bezel contrasts with the steel case middle, for a sporty look. The Armin Strom Mens Watch lugs and case flanks feature angular cut-outs that reduce weight and add to the muscular appearance of the timepiece, which is by no means small – just the way the Max likes it. 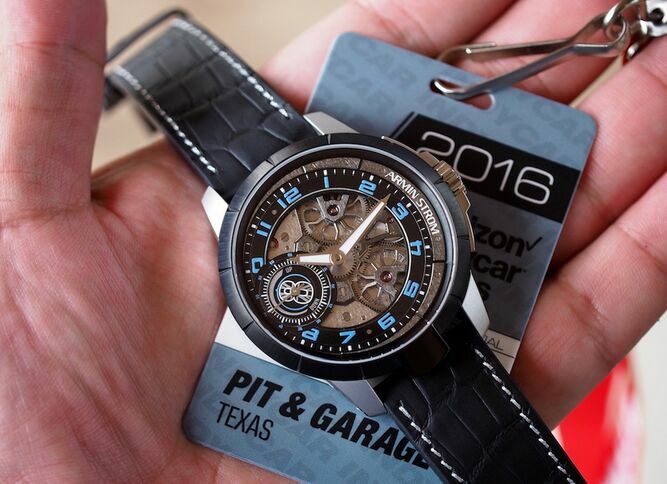 Like the case, the movement features geometric components, such as spider-shaped crown wheels. Finishing of the components includes hand-bevelled edges and a unique cross-grinding finish that add to the industrial feel of the timepiece. Functions include off-center hours, minutes and small seconds. Water-resistance is 50 meters. Under the dial, visible from both the front and back, is a 4Hz in-house, manually wound caliber that is good for 8-days (192-hours) of power reserve, thanks to double going mainspring barrels. Caliber ARM16 has 34 jewels and 194 total components.